If your Exchange Club, civic club, fraternal order, education system, or veterans group is looking for a unique centerpiece for an upcoming event in your community, this it it! The Tomb of the Unknowns is a one-half sized replica of the Tomb found in Arlington National Cemetery, dedicated to those who fought so valiantly, made the ultimate sacrifice, and lie in unmarked graves around the world because their identity could never be established. This is a project of the Exchange Club of Rome, GA and dedicated to the preservation of the American Spirit and the principles upon which our country was founded. This replica was constructed to exact detail including carvings and inscriptions and is accompanied by members of the Exchange Club of Rome who explain the history and the meaning of each portion of the replica and the tablets that sit in front of it. 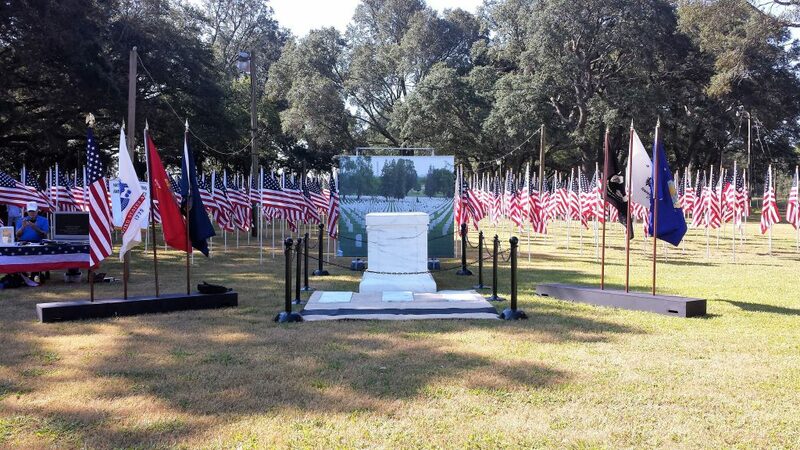 This Tomb Project has been recognized by the National Exchange Club as the most outstanding Americanism Project undertaken by a local club for 2016-2017, and has traveled to schools, fairs, and special patriotic observances where it has been observed by thousands already. 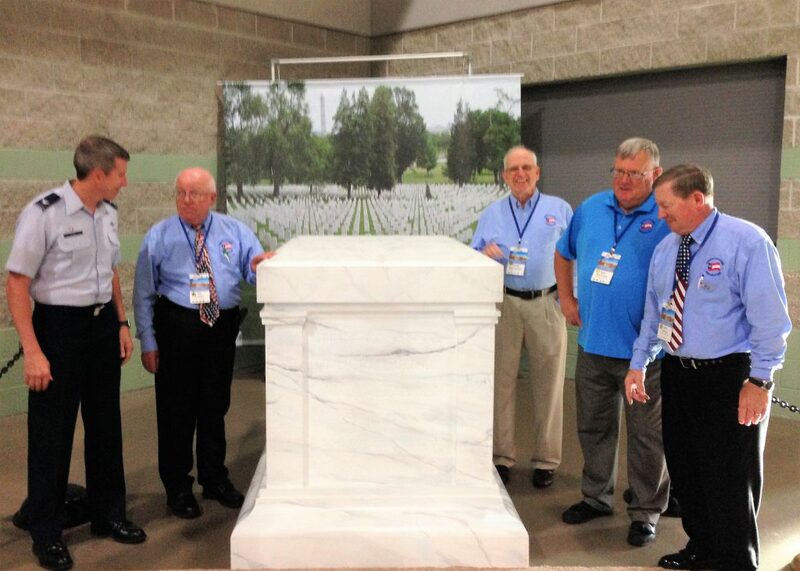 The Exchange Club of Rome would love to share the experience of the Tomb project with as many people as possible as an integral part of our Americanism program and would be more than happy to discuss with you how you can bring the Tomb to your local city for an appropriate showing. 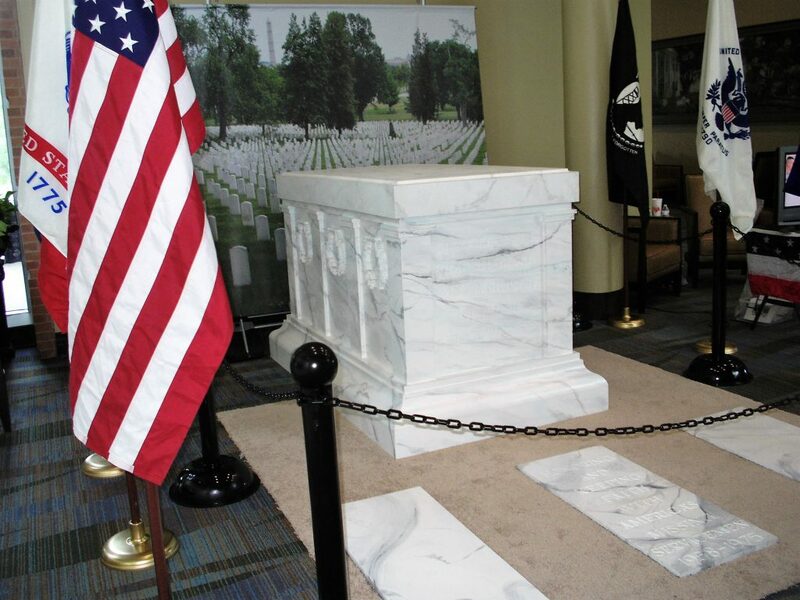 The Tomb has also been used as a unique educational experience for grade school children in combination with a special program that has been developed that chronicles the history of the Flag of the United States in conjunction with the National Exchange Club’s “GiveAKidAFlagToWave” program. For more information on how this can be done, please feel free to contact Bill King, 706-766-8451, or fill in the information below to request more information.